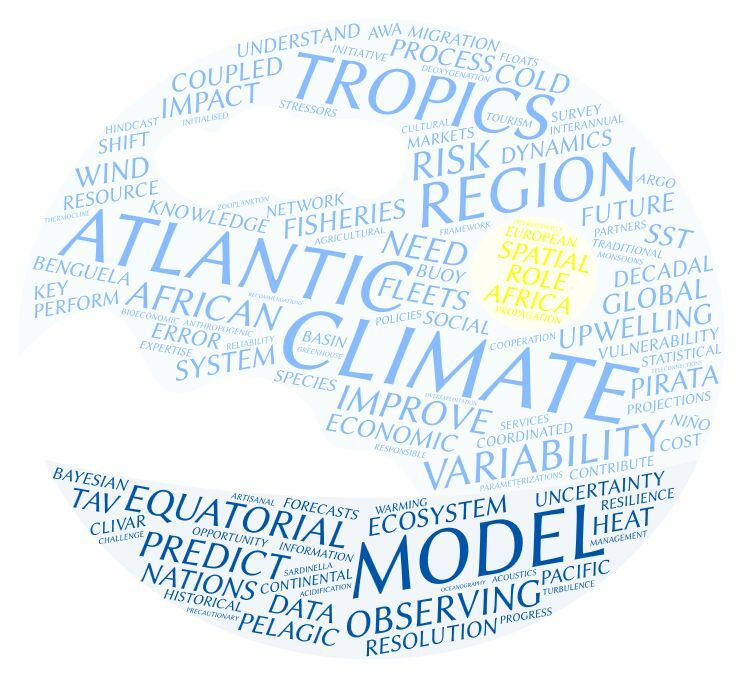 The project Enhancing Prediction of Tropical Atlantic Climate and its Impacts (PREFACE) is funded by the European Union 7th Framework Programme (FP7-Environment) to improve our understanding of the functioning of the tropical Atlantic climate and our capabilities to predict it and its impacts, with a particular focus on Atlantic African fishing communities. It is a large project (~€12M) bringing together 28 partners across 18 countries in Europe and Africa with expertise in oceanography, climate modelling and prediction, and fisheries science, and 3 associate partners directly involved in the sustainable management of the three Eastern boundary large marine ecosystems (LME) of the Tropical Atlantic. PREFACE forms part of a cluster of projects funded by the European Union to investigate climate-related ocean processes and combined impacts of multiple stressors on the marine environment, as a contribution to the pan-European and international goal of achieving the sustainable management of the environment and its resources. 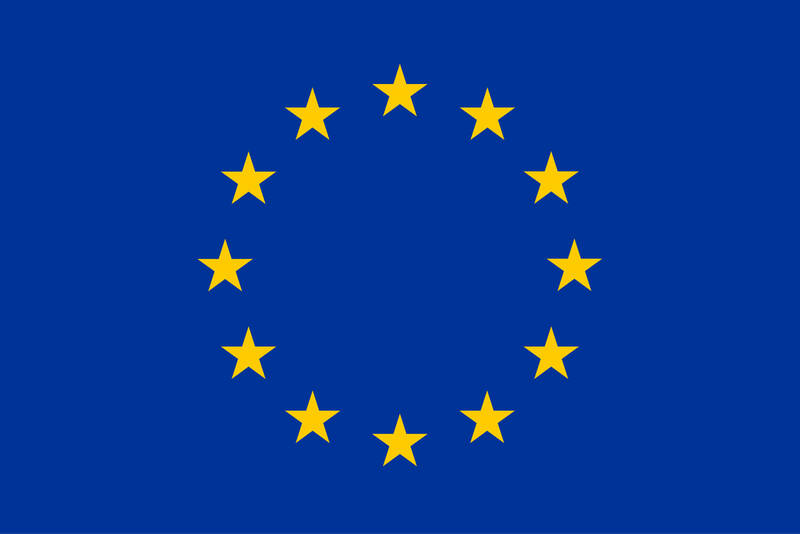 The information and views set out in this website are those of PREFACE and do not necessarily reflect the official opinion of the European Union. PREFACE celebrates yet another successful PhD defense. On 01.10.2018 Dr. Adama Mbaye of ISRA-CRODT successfully defended his PhD thesis on: “Governance of climate change in the Senegalese artisanal fisheries” at Sorbonne Université. The thesis is a product of the collaboration between the tripartite AWA project and PREFACE. It focuses on climate change adaptation in Senegalese artisanal fisheries and more specifically on fisherfolk’s adaptation strategies and the policy measures implemented. The starting point of the research was the observation that the State of Senegal, NGOs and donors have been putting in place for some years, measures of adaptation to climate change through numerous programs and projects. However the vast majority of fisherfolk do not identify with these measures. We invite you to read this thesis as soon as it has been archived: access through the PREFACE website. Congratulations Adama! The PREFACE International conference on “Ocean, Climate and Ecosystem” and final project assembly gathered, from Norway to South Africa and California to Japan, 83 senior researchers, early career scientists, research institute directors, advisors to ministers, high-level managers of regional fisheries and coastal management commissions, and even a cartoonist, in a week of intensive and productive collaboration. Presentations, photos and more: available here. Check out the report from the PIRATA FR28 Spring survey aboard R/V Thalassa from Mindelo and covering the not-so-well documented Gulf of Guinea. PIRATA F28 report. Workshop on “Small-scale fisheries in the South”, 25-26 June 2018, Plouzané, France, organized by Université de Bretagne Occidentale and IRD. The workshop, in French and English, will gather researchers, managers, financing and training institutions to discuss current research in small-scale fisheries in the South and the associated issues for a sustainable development. Registration deadline: 25 May. More…. PIRATA 23 & 2nd TAOS Review meetings, 22-26 October 2018, Marseilles, France: an important opportunity to gather information on the Tropical Atlantic Observing System and PIRATA data use impacts from stakeholders, specialists in satellite measurements and products, ocean weather-climate operational prediction, ocean biogeochemistry and resources along with socioeconomic impacts of climate and environmental changes. Direct links to Information and Registration. Bourlès et al., 2019: PIRATA: A Sustained Observing System for Tropical Atlantic Climate Research and Forecasting. Voldoire et al., 2019: Role of wind stress in driving SST biases in the Tropical Atlantic. Koseki et al., 2019: Frontogenesis of the Angola-Benguela Frontal Zone. Machu et al., 2019: First Evidence of Anoxia and Nitrogen Loss in the Southern Canary Upwelling System. Baldé et al., 2019: Variability of key biological parameters of round sardinella Sardinella aurita and the effects of environmental changes. Ba et al., 2019: The potential impact of marine protected areas on the Senegalese sardinella fishery. Tchipalanga et al., 2018: Eastern boundary circulation and hydrography off Angola-building Angolan oceanographic capacities.